I'll be sharing my July favourites later this week, but as I had so many this month I've separated out my hair favourites for their own post. I'm no hair expert by any stretch, and because of that I don't do a lot of hair related features, so I thought it was about time I did a little update on what's currently happening atop my head. Firstly, I've been using a new hair dryer - it's the Vidal Sassoon Infra Radiance Technology Dryer. It was about time for me to get a new hair dryer as I noticed the one I've been using for the past year has started to slow down and lose some of its power. I wash and blow dry my hair nearly every day of the year, so I'm pretty hard on hair appliances and a dryer usually only lasts me around a year anyway. I was really excited to be offered the chance to try something from the new Vidal Sassoon Infra Radiance range, and straight away I knew I'd go for the dryer as it's so important to me to be able to get all of my hair dry really quickly and easily every morning before work. I've been really impressed with this hair dryer, especially considering it's half the price of the last few I've tried, and in my opinion it's just as good. It's a powerful 2000 watts, which means even though I have quite long and thick hair, it can rough dry it all in a little over five minutes if that's all the time I have spare. For me that's the hair dryer deal breaker! I can't leave my hair to dry naturally - it turns into a frizzy, fluffy mess, so I always need to know I can get my hair dry fast. The dryer has the usual settings you'd want - two different speeds, two heat settings and the all important cool shot. The more unusual feature is the infra red technology - it's used within the applicance to help deliver the heat more evenly to the hair to prevent over-drying and to keep more moisture in the hair while keeping the frizzies out. Because I have long hair I always find it hard to take a picture which actually shows it all, but you get the idea, and hopefully you can see that I have quite a bit of extra bounce at the roots from using the diffuser attachment - usually my hair would be totally flat to my head at the roots! All in all I'm really pleased with this dryer and I'll certainly be giving the diffuser a go on mornings when I hasve a bit more time to spend on my hair. The Vidal Sassoon Infra Radiance dryer costs £49.99 and you can pick it up at Boots. And now these are the products I've been using on my hair lately - it's always a constant battle between my dry, frizzy ends and my lifeless, oily roots, so it's a slightly random mix! Aussie Aussome volume shampoo - I used this shampoo a few years ago and didn't necessarily love it. I picked it up again recently because it was on offer, and this time around something's different, in a really good way. I don't formula's changed or if it's my hair, but right now I can't get enough of this shampoo and have been repurchasing it over and over. It gets my hair super clean to the squeak without needing to lather twice, it rinses out easily, it smells good and, to top it all, it doesn't make my hair extra oily. It noticeably doesn't give my hair any extra volume by itself, but it seems to work well with my other volume-encouraging products and tricks. Phillp Kingsley Elasticizer - this is of course not for going anywhere near my roots - it's a treat for my super thirsty dry ends. I think I'm blogged about this pre-shampoo treatment before - you apply it to wet hair and leave it on for a bit before washing and conditioning your hair as normal. I love this as a once a week treat for the damaged lengths of my hair. Garnier Ultimate Blends the sleek perfector oil - this is my go to oil / serum right now. I usually like the L'Oreal Elvive Extraordinary Oil, but I'm slowly converting and realising that this one might be better. First things first, I love everything coconut, so this product had a bit of an advantage from the start - it smells so good! Because I have 'combination' hair, just like combination skin, I always feel like I'm fighting two opposing battles at once - I need moisture for the lengths of my hair, but the last thing my roots need is anymore oil. The great thing about this oil is that it manages to deliver real sleekness without being heavy or greasy, and I find I use a lot less of it that the L'oreal oil, so the Garnier bottle lasts me longer. 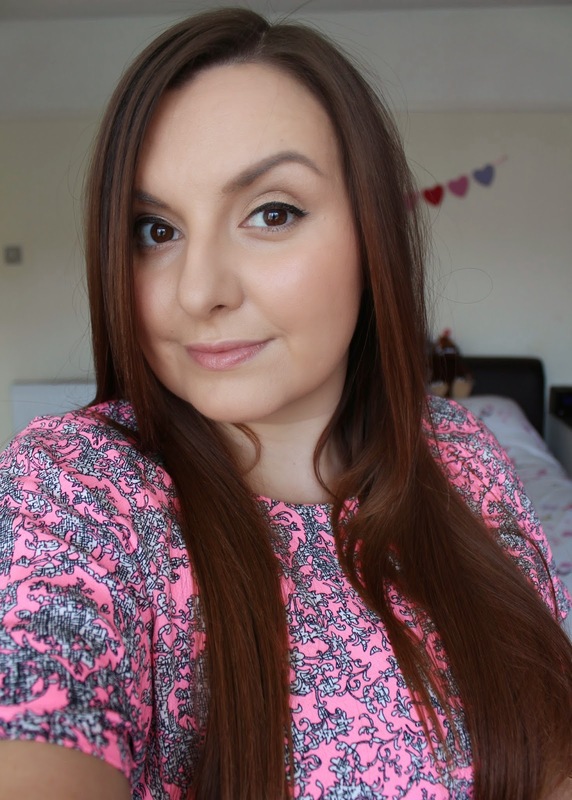 Lee Stafford Blow Dry Wonder spray - you've heard me go on about this before, surely? I think it's had a little name change from 'faster' to 'wonder', but it's the same good stuff. I must have been using this heat protectant, detangling wonder spray for more than five years - it's probably the one product I'm more loyal to than anything else! If you have long hair, I recommend you give this a try - it makes dealing with my wet hair and getting it dry a much faster and more manageable experience. I can't stand drying my hair without this, honestly. If they ever stop making this product, me and Lee are gonna have a problem. 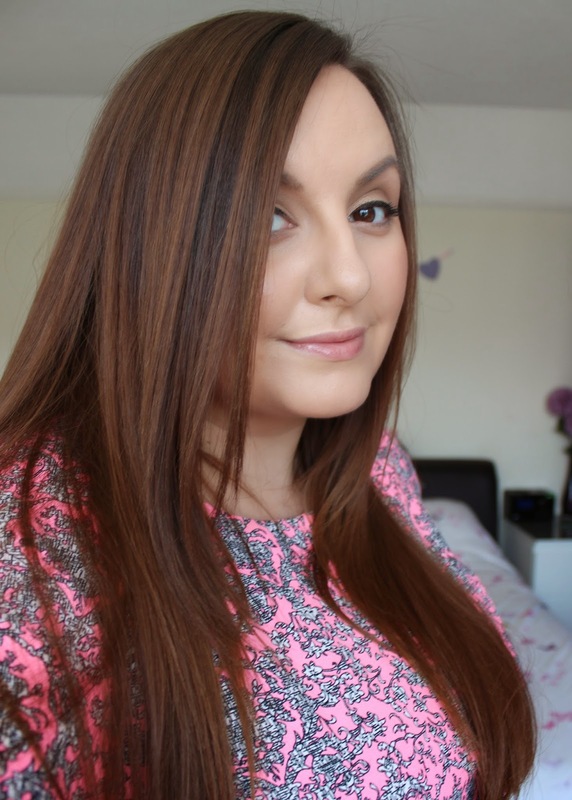 Mark Hill Vava Voom volumising blow dry mousse - I don't use mousses often, probably for fear that they'll make my roots look oily, but I'm really trying to get into the habit in the spirit of banishing flat hair. This mousse is specifically for helping to achieve some big hair as you blow dry, and I find it works pretty well with the diffuser as I mentioned earlier, and if I use it before I put my hair in any rollers or curl it another way. What it doesn't do is give any sort of results if you plop it in your hair, dry the hair flat with a paddle brush, and expect miracles without putting any effort in - note to self. Guest bloggers wanted for September!